I'm proud to announce the BOILERMAN self-titled one-sided 10" is now available for pre-order. All pre-orders before the March 3rd release date will include a free copy of FELLOW PROJECT "Basic Axemanship" CD. We'll also have limited number of the European and Japanese color vinyl variants to choose from while supplies last. Click to stream the album or pre-order a copy here. The Chicago trio is back with five new songs that sounds like someone put the Screeching Weasel/Born Against split 7” in a blender and pressed it to a one-sided 10”. The tracks were recorded and mastered under the scratch title “Dark” along with another three songs slated for a forthcoming 7” single - with the scratch title “Pop” - by bass player Kris di Benedetto. This material lives up to its dark moniker with a lyrical trajectory that starts with the meaningless of life, moves on to the filth of the material world, and finally lands on the inevitability of death. Dark stuff. But just as the impending single portends hope, so too do these songs; righteous anger, building crescendos, and buried melodies, all coming together to expand what kind of punk can be called pop. 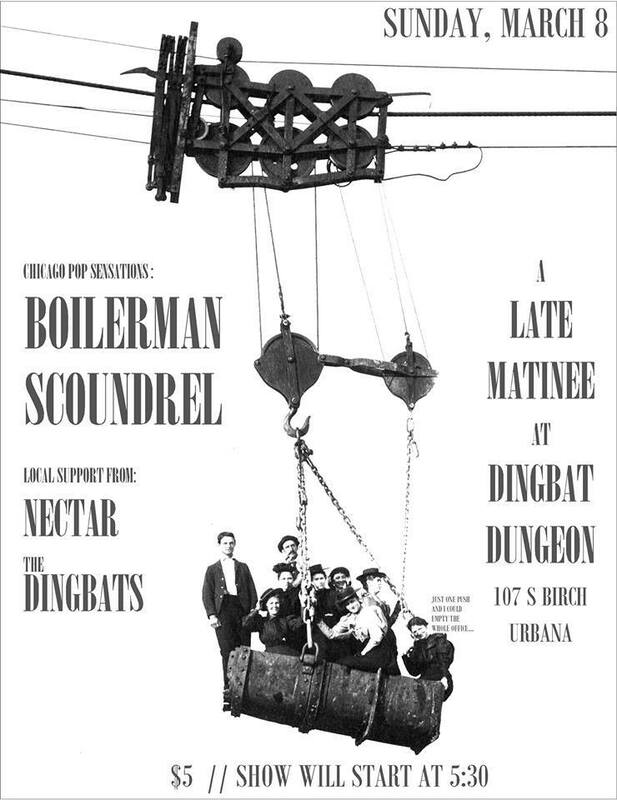 The Boilerdudes are heading out for an East Coast tour on their way to play Ottawa Explosion Weekend on 6/19. 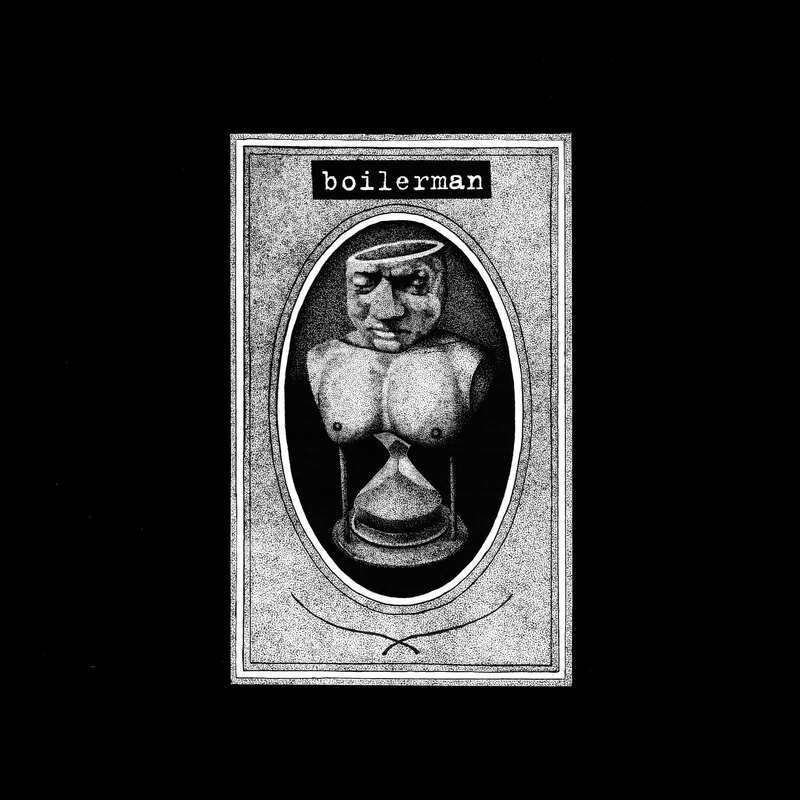 Ahead of the tour, 86'd has reissued BOILERMAN's entire vinyl discography as Creative Commons licensed pay-what-you-want downloads. The discography is also available on Bandcamp, iTunes, Spotify, and more. More info over at our buds Little Yeti PR. BOILERMAN will have limited copies of their new self titled one-sided 10" on hand this weekend for shows in Lansing, IL, Cincinnati, OH, and Champaign, IL. The record will be in stores on March 22nd. 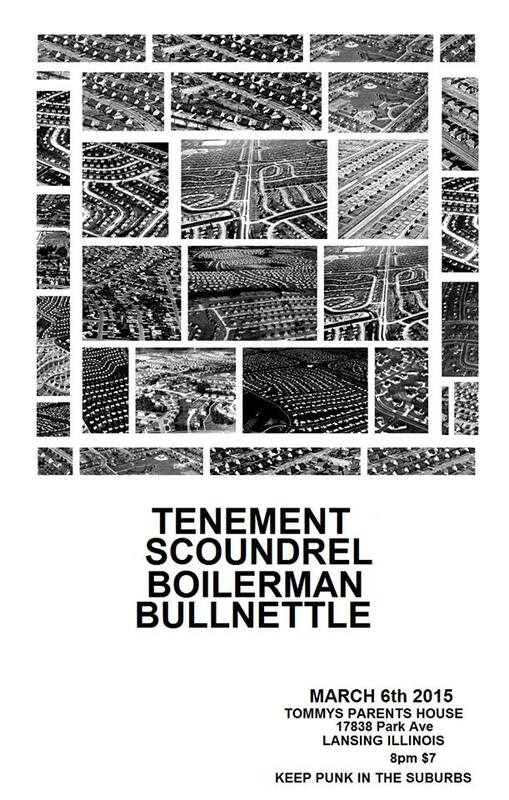 I’m very psyched to finally announce a new one-sided 10” coming from Chicago’s BOILERMAN in 2015. 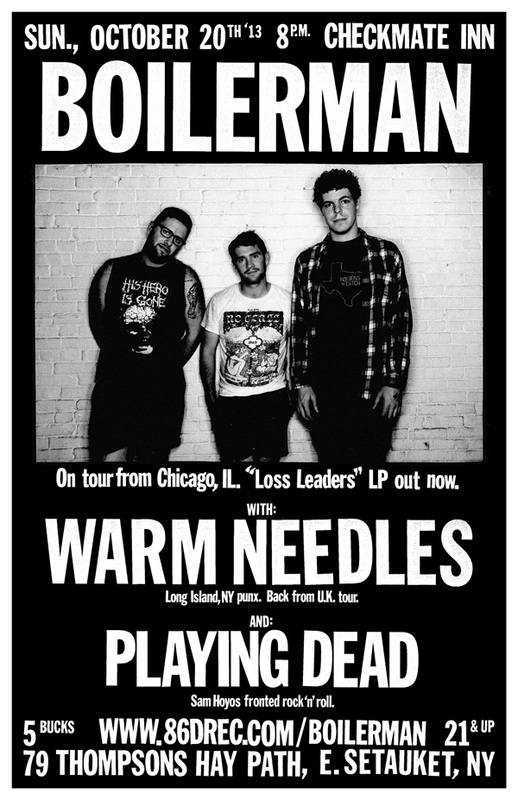 Sounding like someone put the Screeching Weasel/Born Against split 7” in a blender and pressed it to a one-sided 10”, Chicago’s BOILERMAN return with their first material since 2013’s “Loss Leaders” LP. These five songs were recorded and mastered under the scratch title “Dark” along with another three songs slated for a forthcoming 7” single - with the scratch title “Pop” - by bass player Kris Benedetto. This material lives up to the name with a lyrical trajectory that starts with the meaningless of life, moves on to the filth of the material world, and finally lands on the inevitability of death. Dark stuff indeed. 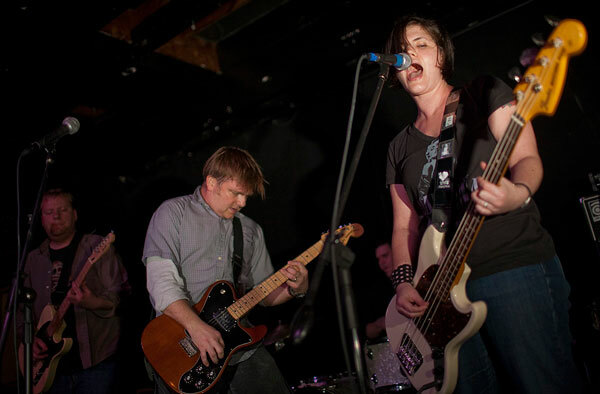 But just as the impending single portends hope, so too do these songs; righteous anger, building crescendos, and buried melodies, all come together to expand what kind of punk can be called pop. The release is limited to 500 hand-numbered one-sided clear vinyl 10”es. Exclusive splatter colors available from each of the three labels releasing the record: 86’d Records in the US, Crapoulet Records in France, and Waterslide Records in Japan. Check out Boilerman’s 2013 full length “Loss Leaders” over their Bandcamp page. You can read an interview with the band over at For The Love of Punk. Big thanks to everyone who ordered. The income will definitely make a difference on the few records we have coming in 2015. THANKS! 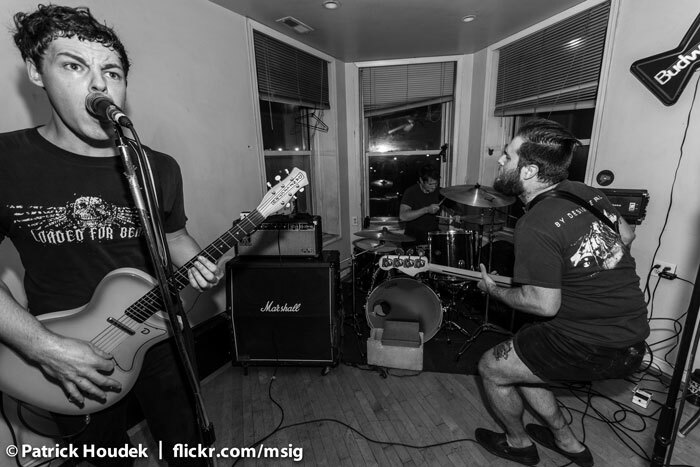 We've only got one release planned so far for 2014 and it's for Baltimore's SICK SICK BIRDS! We'll be releasing a CD compiling all the bands' singles, EPs, and splits along with a few bonus rarities. The CD will be co-released with the ever-awesome Waterslide Records from Japan. We'll have a limited number available here in the US as an import with the rest being distributed in Japan. Photo by Dave Sanders. Sign up for the 86'd Records Newsletter to stay up to date! I'm making room for a few new releases in 2015 (Sick Sick Birds, Boilerman, Fellow Project). So I’m running another 86% off sale. This time around it’s a bundle. 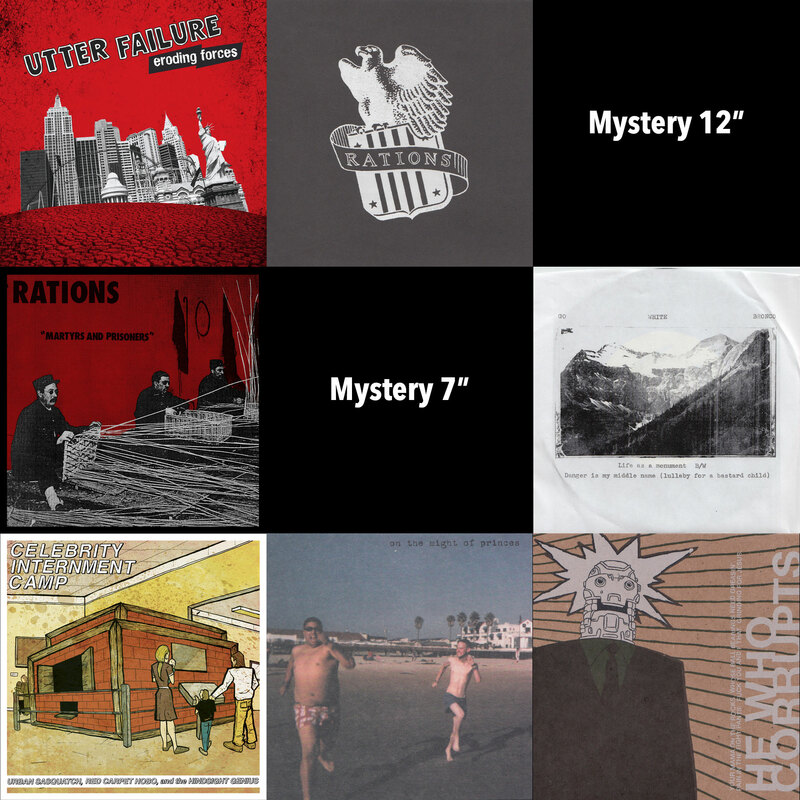 I found some unassembled copies of the RATIONS 12” that I’ve put together and I’ve got a good amount of UTTER FAILURE 12”es left, so I’m bundling those up with some other stuff all for $16ppd in the US. That's 3 x LPs, 3 x 7”es, and 3 x CDs for $16ppd in the US. Click to here to buy the bundle. I’m down to my last copies on a couple of releases. Get on ‘em before they’re gone. Only 2 copies left. These copies include both the regular LP jacket and the limited to 100 flap folder cover version. To my knowledge these are the only 2 copies that include both….as I had some extra lying around. Down to the last 14 copies of this bugger. These are the “overrun” copies limited to 50 units with the blue (instead of pink) OBI strip. Use the code “WEED” at checkout to receive 20% off of your entire order. Good on anything in the store through Monday-ish. Check out the show page page for more information. R.S.V.P over at the Facebook event page. 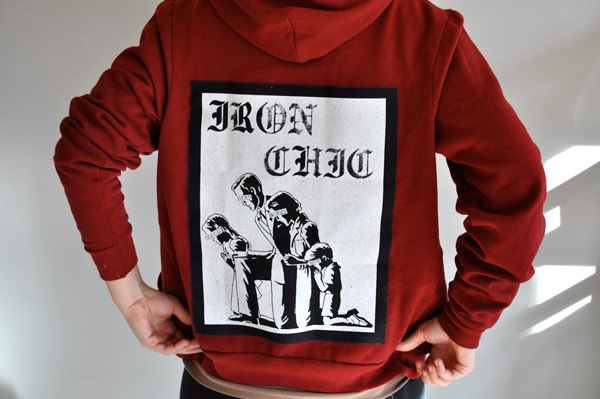 I’ve got exactly 9,8,7,6,5,4,3, 2 IRON CHIC back patches (or buttflaps if you’re a crusty) left in the store. I’ve marked them down $3 so get on ‘em before they’re gone. These are leftover from the very first run of “Not Like This” CDs and were limited to 500… no plans to make them again. When you’re done buying a back patch, make sure to pre-order “The Constant One” over at b9store.com/ironchic… but not before also buying this, this, and this from me. 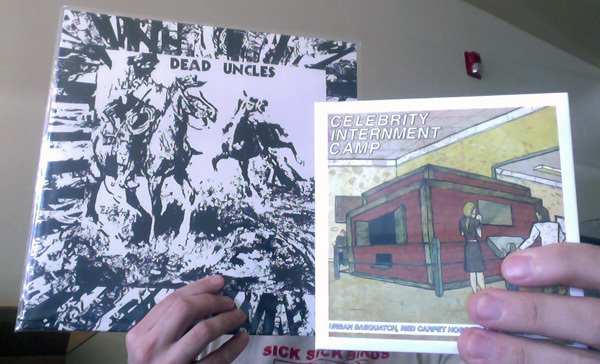 DEAD UNCLES "Stock Characters" 12"
Either of these new releases is worth the price of admission, but that bundle deal will wind up saving you over 10 bones. 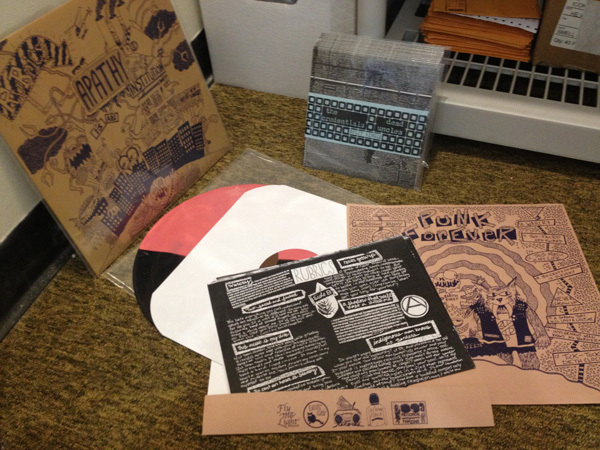 DEAD UNCLES "Stock Characters" 12" LP and CELEBRITY INTERMENT CAMP s/t CD will be available to order at midnight tonight. 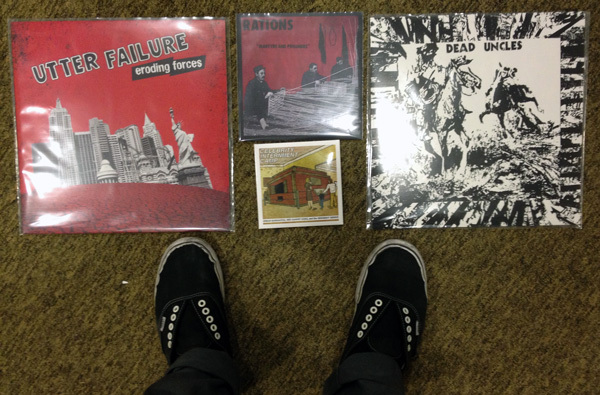 It is imperative that you purchase these releases. Stay tuned to our Twitter, Facebook, and Tumblr for details. 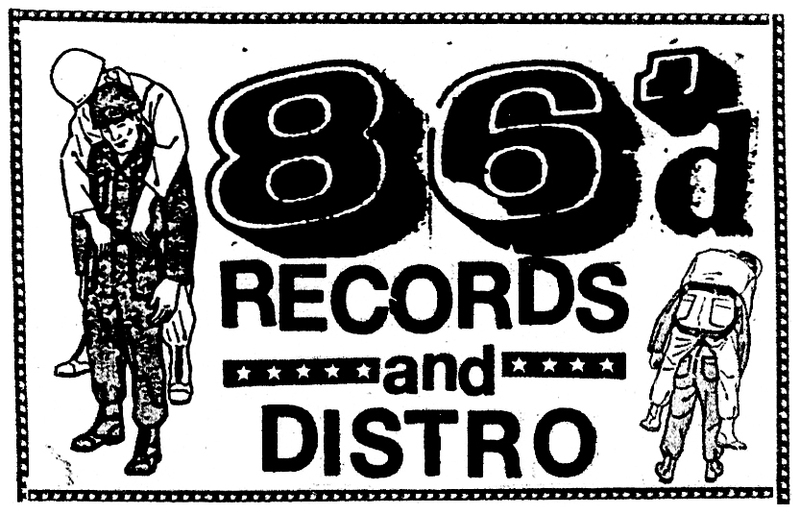 86'd Records is a DIY punk label/distro/website from Long Island, NY since 2010. Find us on Instagram, Bandcamp, Twitter, FB, Soundcloud, and Youtube. 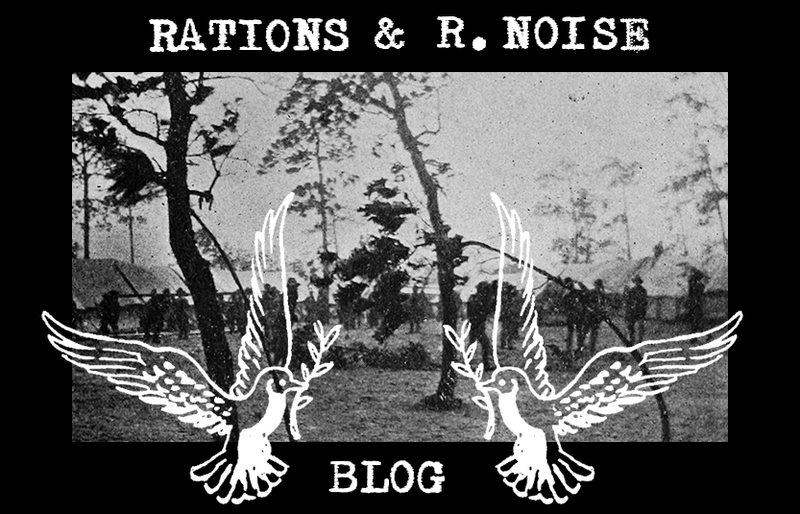 Official organ and archive for punk and post-industrial bands Rations and Rations Noise. 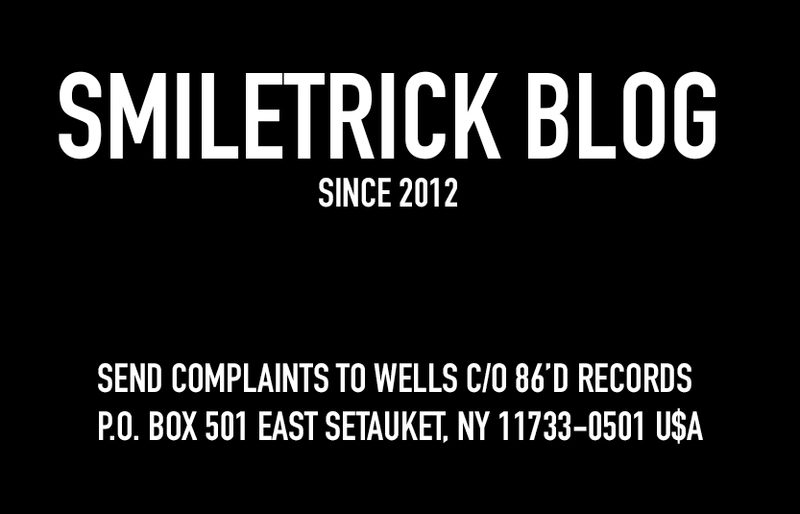 Contact us by email at wells@86drec.com or by mail at P.O. 501 East Setauket, NY 11733-0501 U$A. 07/06 Preorder BOILERMAN's new one-sided 10"
05/26 BOILERMAN: East Coast tour, Ottawa Explosion Weekend, and digital discography. 11/27 Boilerman s/t one-sided 10"
11/11 More 86'd release out of stock.